"High quality security and protection"
Cloudbric is the simplest when it comes to security, it protects applications and gives them the greatest security against any vulnerability. It is also easy to monitor the access of the network to the computer, on the contrary, it is really magnificent. he software is really very complete, the security is of high quality and the support is constant. So far I have liked everything and its operation has been correct. The best security can be found with the great work, and the great efficiency of Cloudbric. I recommend it to you. We have completely entrusted the security of our website to Cloudbric and with this we manage to eradicate all threats and promote thanks to this the reliable image of our site. "Totally effective security at all times"
Cloudbric is simple to use, provides the best application security and allows control access from the computer to the network and vice versa, making all the work much easier. So far the firewall and security has worked perfectly, it has provided a very good job and really useful function for my website. The best security for the website can be found in this software, it is fast and efficient, I recommend that you try and verify it. The quality of our website has improved a lot since security against any threat is completely eradicated with Cloudbric. "Now I can be protected!!" "Buena opcion para la seguridad"
Cloudbric es fácil de usar, proporciona la mejor seguridad en aplicaciones y permite controlar el acceso del ordenador la red y viceversa, facilitando mucho el trabajo. La mejor seguridad para el sitio web se puede encontrar en este software, es rápido y eficiente, le recomiendo que intente y verifique. Recomiendo Cloudbric para tu trabajo. Mejora la seguridad de tu trabajo. La calidad de nuestro sitio web ha mejorado mucho, ya que la seguridad contra cualquier amenaza está completamente erradicada con Cloudbric. "Maintenance and security for applications"
It controls on a large scale the access of a computer to the network and from elements of the network to the computer, a magnificent threat system and provides quality security. 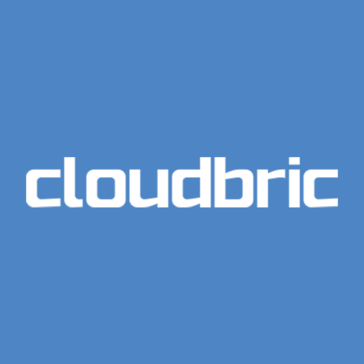 I recommend Cloudbric for your work. Improve the security of your work. It has helped us to solve security problems which have improved the quality of the offer of our products. "Si necesitas seguridad CloudBric es la solución"
Me gusta que Cloudbric sea seguro y fiable. No tuvimos muchos problemas al usar Cloudbric, pero cuando lo hicimos, el servicio al cliente fue excelente. Fueron fáciles de contactar y nos pusieron de nuevo en marcha rápidamente. Nos ha ayudado a resolver problemas de seguridad que han mejorado la calidad de la oferta de nuestros productos. "Cloudbric is very useful for webapps maintaining "
I like it's threat intelligence .Using that we have solved many problems . Their is nothing to dislike .We have found great customer support from them whenever we found any problem. Yes .Strongly recommended for office use . We have solved many business problems .Mostly for security reasons we are preferring this . Super easy to add sites and very competitive pricing. Can be used easily by all members of our team regardless of technical competency. Do not like how there are no security permissions... anyone can register a site. Would be helpful to have more controls. "Overall a good product but leaves the user wanting more"
I like that Cloudbric is secure and reliable. We did not have many issues while using Cloudbric, but when we did, the customer service was great. They were easy to contact and got us back on track quickly. We never had any issues using Cloudbric. Cloudbric was a great addition to the office. We used Cloudbric to keep our company websites secure. * We monitor all Cloudbric reviews to prevent fraudulent reviews and keep review quality high. We do not post reviews by company employees or direct competitors. Validated reviews require the user to submit a screenshot of the product containing their user ID, in order to verify a user is an actual user of the product. Hi there! Are you looking to implement a solution like Cloudbric?